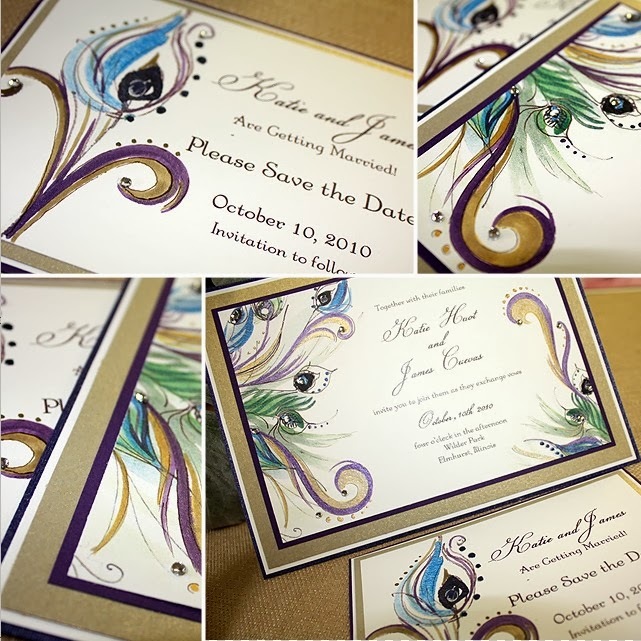 The peacock wedding theme is a theme that a lot of couples would like to have for their own wedding, but are not sure if they can pull it off. Peacocks are exquisite creatures, their feathers displaying the most beautiful combination of colors. 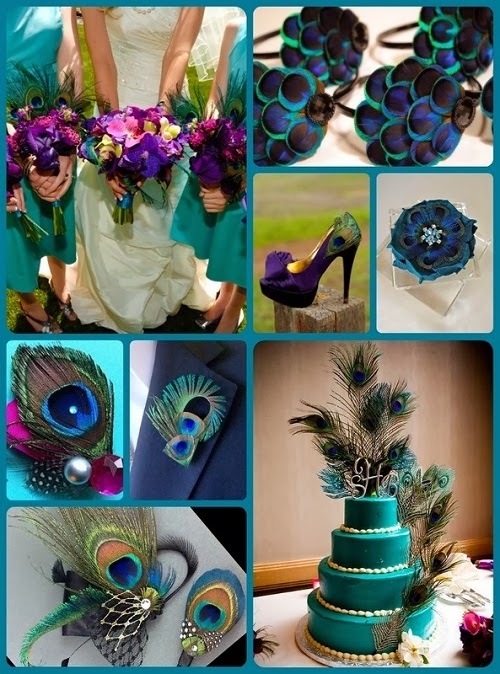 Having a peacock wedding theme means using a lot of teals, blues, greens, purples and violets. Adding a bit of gold or bronze makes the palette even more stunning. It is sure to be a visual delight for all of your wedding guests. When most people think of peacocks, the word extravagance comes to mind. You want to make sure that the overall look and feel of your wedding matches whatever it is the peacock embodies. 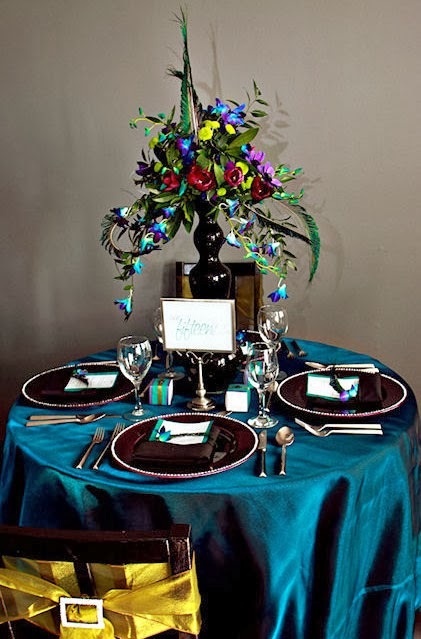 Using a bunch of vivid colors to an extreme can make your wedding appear tacky instead of classy. Therefore it is extremely important that you add just the right amount of color and use decorations that convey a sense of elegance. 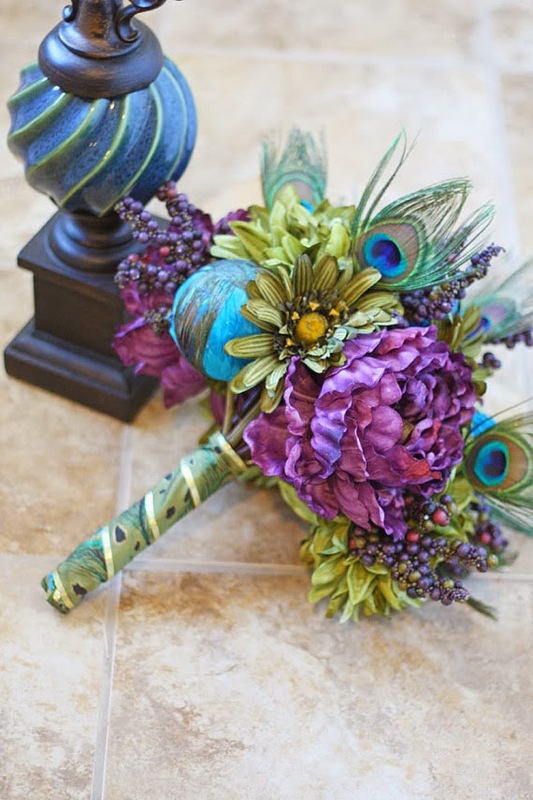 There are so many wonderful things you can do with a peacock wedding theme. Let's start with the wedding invitations. Let everyone know what theme to expect for your wedding by printing the image of a peacock on your invitations. 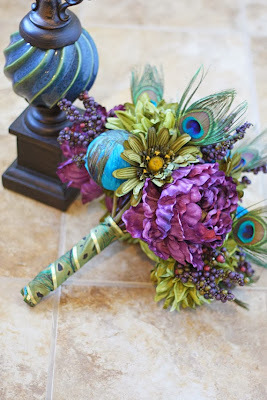 You can also choose to be a little more subtle by simply using peacock colors or attaching a faux peacock feather. The bride does not necessarily have to walk down the aisle in a majestic teal, green and purple gown to make this theme come alive. She can always wear the traditional white wedding gown with fun and flirty embellishments or add an occasional pop of color using jewelry or other accessories. A feathered corset or ball gown would be fitting for this occasion. The bridesmaids dresses on the other hand can be as creative as you want it to be. Imagine short flowing dresses with tie-dyed hues of blue, green and purple or have each bridesmaid wear a different color variation of the same dress. 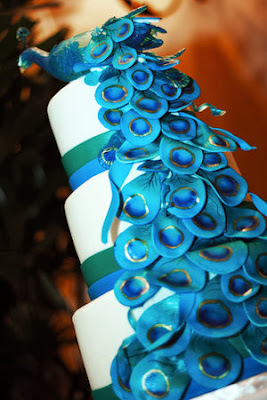 With a peacock theme, even the wedding cake can turn into a piece of art. If you are willing to spend top dollar to have the most magnificent wedding cake, you can hire someone to try and recreate a peacock. 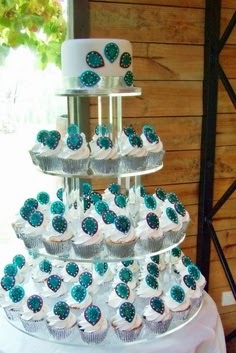 Otherwise have some peacock feathers intricately decorated along the top and sides of the cake. Adding some gold or bronze trim along the edges will make the cake look even more exquisite. With so many beautiful colors to work with, you should be able to come up with endless ideas for the decor and wedding favors. A peacock theme is anything but dull, think of some fun ideas to use and just wait to mesmerize your guests.